Who Takes Credit for the Economy? We’re planning on putting in a new kitchen. I think. I’ve got some pretty solid numbers on a complete gut and redo with some walls shifting, and I’m feeling ill. Maybe it’s better to just paint the cabinets and call it a day. We’re not going to start the kitchen until Jonah’s winter break is over in the middle of January, so I have plenty of time to obsess over the kitchen. A contractor came last week to give us an estimate. As he measured the room, we did a little chit chat. I asked him how business was going. With a sheepish shrug, he said business has been booming since the election. He glanced over at me to see if I was going to throw him out of the house, and then kept measuring. He didn’t have to say it, but the message was implied — because business was so good, his prices were going to go up. Great. So, can Trump take credit for this bounce in the economy and the stock market, or is this bounce part of the natural cycle of the economy that had already picked up during the Obama administration? The President takes credit in good times, and blame in bad times. And everyone is a hypocrite about whether this is fair and just. It is not so different from the days when a good king meant a good harvest and a bad king meant an early frost. MichaelB pretty much nails it. Objective observers generally consider that, to the extent an administration can influence the economy at all, it might be fair to attribute economic responsibility starting about one year after the inauguration. So Obama would get credit for this year’s economy. And Clinton would get the blame for the recession in 2001. Obviously no one in politics or punditry follows this rule. I can’t believe I entered my email address, which was not intended. One of the interesting things here is that the guy had a plausible fear that you would discard him as a potential contractor because he said Trump had been good for business. First, football goes political. Now, kitchen remodelling! Is no sphere of our communal life safe? If I had a choice, I wouldn’t for a second hire an open Trump supporter as a contracter. If you want me to give you money, you’d pretty much plan on keeping that information to yourself (though admittedly, I can imagine many situations in which my choice would be limited). Indeed, absolutely no sphere of our communal is immune from my concerns about Trump the person, the ideology that his election has surfaced, and the potential for significantly wrong-headed policy decisions on everything from health care to civil rights to war. But, I would listen to someone telling me their business was booming after the election and ask for specifics, if they were willing to volunteer information. The construction economy is definitely booming in our neck of the woods. I worry periodically about a bubble. Our house value is now 15% above its peak pre-recession zestimate value, which concerns me. We’re due for a kitchen renovation, but I wouldn’t do it based on the current value of our house. In fact, that’s a pretty good description of what Donald Trump has been doing–achieving unquestioning tribal loyalty. To do the exact same thing in the name of opposing him is more than a bit ironic. Right–and it’s also common among Trump supporters. And the logic on this is just crazy. I can do XYZ bad thing because my opponents did XYZ bad thing–never mind that XYZ is terrible. As some smart person was saying recently, conservative media is ideological under Democratic presidents and partisan under Republican presidents, which means that we never actually get what we want–jam tomorrow and jam yesterday, but no jam today. Right. If everybody is a Nazi, nobody is a Nazi. Don’t let’s all hold our breath waiting for that. I don’t know if this stat has held up, but apparently something like 29% of Hispanic voters voted for Trump. If I had a choice, no bumper stickers. There was a trump sticker on the car next door, so you are right that even in a city that voted 85% for Clinton, the likelihood of a trump free construction team is high. Regarding whether my personal boycott makes it more likely that trump continues to win — I think not, but if it does, I’m not willing to collaborate with what is happening now, which is worse than I’d imagined. Trump is worse than anything I’ve faced before. Sitting alongside nazis, which is what you do if you support for trump, in my book, is something I must shun with whatever power I possess. The Goldberg column I read as basically, ‘those people are icky, and the damned Electoral College is how this catastrophe has come down on us, and let’s fix the Electoral College’. The Brooks column I read as basically ‘the Trumpistas have a genuine grievance, and if we don’t fix it the country is riven apart for the forseeable future, and the clerisy is letting itself get fetched and losing the struggle’. I think Brooks’ take is much smarter. Trump can be managed, with lots of ear scratches and belly rubs. Fortunately, it’s not my problem and there’s absolutely nothing I can do about it. But we might be nuked by the North Koreans first. BeeJay, as Instapundit regularly says, “if you want more Trump, this is how to get more Trump”. And furthermore, Laura will get more options and better bids on her kitchen than you will. And I can find plenty of good tradesmen around who are either (a) decent blue collar union type democrats or (b) are smart enough to keep their politics to themselves around me. It doesn’t seem to be a problem. Maybe bakeries or pharmacies are safe? How about Catholic hospitals? Students and patients are safe in my world. I’m pretty much ok with the trump supporter refusing to take on my renovation project because I’m opposed to trump supporters (though not because I’m brown or gay or a Jewish). Two big tear-downs + custom houses are going up on our block. That’ll mean 3 teardowns since the last recession. Your neighborhood is running a virtually 100% risk of having some Trump supporters among the construction guys, as well as an elevated risk of anti-HRC bumper stickers. I suspect there’s a big difference between somebody like a recent plumber of ours whose cell phone case is a Confederate flag, and whoever was the owner of a pickup and closed trailer I saw once at the mall, which had probably 20 different Confederate flags–stickers, flags, you name it, plus some AK-47 outline decals for good measure. I have to confess to having been somewhat concerned about the contents of the closed trailer. One Trump sticker: probably normal stand up guy. 20 different political bumper stickers (of whatever stripe): nut. Deceased or no-longer-driving mom’s handicapped permit. But it might actually be a well-heeled disabled person. Successful contractor (or other member of the blue collar super-elite), now elderly with enough mobility problems to get a handicapped sticker (they aren’t that tough to get), and having at least a minor midlife crisis. It stinks that our biggest campus gossip isn’t working here any more. I would have had the full deets. Now I have to guess. This is a person who is on campus on Mondays and Wednesdays (I saw the car again today). It’s always in the same spot, on the 4th floor of the garage. This leads me to believe that it’s a faculty member, as faculty have been told to park on the 4th floor or higher, and this is the first handicapped spot on the 4th floor The license plate is a low number plate, which suggests either that the person is a longtime RIer or wants to appear as one (i.e., cares enough to enter the lottery for low number plates). OK, then, a faculty member with some money from somewhere (e.g., a father who engaged in sordid commerce so his children could focus on higher things), mild mobility problems, and at least a mild mid-life crisis (not unknown in those circles, but a car is better than sleeping with coeds). More likely sordid corruption. The dealer on the license plate frame was one located in a part of RI known for being very old school, Cianci-era RI. So, Trump’s kind of commerce. Father Bill Haymaker, accompanied to Hove Crown Court by his official clerical dog The Venerable Mr Piddles, was found guilty of stealing the badge from woman who had died two months before and then using it in his own car. On the economy, the last couple of years have been good for me. But this isn’t my first rodeo and in my experience a couple of years of good money means the economy is about to crash. Whenever I see records on the Dow, I look for expenses that can be cut. On top of that, while funding for what I do has always been unstable, a determined, systematic attempt to destabilize the whole sector in which I work is new. I cut discretionary spending last November and will continue to do so until there is a political climate that looks like it will provide some stability. So that looks like a vote from MH for “..Maybe it’s better to just paint the cabinets and call it a day…” And I think that may well be a good idea. Laura, think about your life plan – you gonna be there for 3 years? fifteen? Is your house a teardown when you leave it? If you put 35 grand into the place and then sell it when you no longer need the school district, how many years do you have to have lived there to have had twenty grand worth of fun from the new kitchen and get fifteen more for the house when you sell it? We redid our kitchen in 96 and it was definitely worth it for the fun we have had. We cook a lot and we have been there for a long time. Our house may well be a teardown when our kids sell it – or they may keep living there for its sentimental value to them. Can’t tell. #2 seems to favor frozen microwave heat-ups from Trader Joe over actually cooking, so our swell kitchen is probably of no value to him. #3 cooks. You have time to get multiple quotes. We’ve done this, and friends/relatives have done this, and there is often a large range between bids from contractors. My theory is sometimes the contractor doesn’t really want to do the job, for whatever reason, but doesn’t want to turn down any possible client. So the contractor highballs the bid, with extra to make it possible to hire multiple extra crews or deal with a demanding client. We’re getting ready to downsize. Expenses incurred in updating a house that has been your principal residence for at least 2 years out of the previous 5 can serve to reduce taxes on capital gains, after the automatic $500K for joint filers : https://www.houselogic.com/finances-taxes/taxes/tax-breaks-capital-improvements-your-home/. So, keep receipts. Don’t tidy up receipts for work you’ve already had done on the house. Figure out how much your house has appreciated since you bought it, to know what the effect might be. In the end, I’d say do it now if you plan to stay in the house for some time. 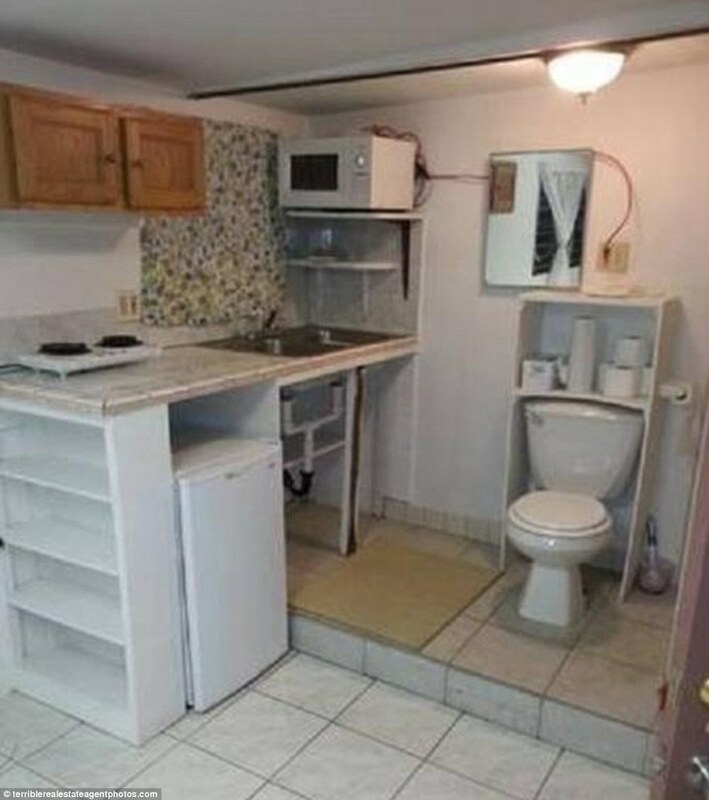 It would annoy me if we have to redo our kitchen now to appeal to buyers. I should’ve done it years ago. Gee, I have kind of an opposite view. I think home improvement is always a good idea when you feel rich, because you can turn it off easily in a downturn. (I.e., this year, redo the kitchen; the next year, rebuild the porch; the next year, replace the plumbing; the next year–whoops! eliminate all home improvement in favor of having enough to eat.) In contrast, if you have to give up even small regular expenses, like weekly restaurant meals, in a pinch, it feels like a sacrifice. Also, if you never do home improvement, the house eventually becomes unmanageable, whereas a year or two of deferred maintenance in a recession is harmless. That’s assuming it’s done with cash, rather than borrowed via a home equity loan. Agreed–although I think it might wind up being more like 5 years of deferred maintenance. But that’s actually all the more reason to do it while you can if there’s going to be a long pause between projects. I’m not telling anybody what to do with their cabinets. You got to live with it every day. The $1,000 family vacations is actually probably what a lot of people spend, or would like to spend. Not a once-in-a-lifetime vacation involving air travel, but some driving, a few nights in a hotel, some entrance fees, some restaurant meals, a t-shirt or two. Our non-family travel costs well under $1,000 for the five of us–but we do really short trips. Otherwise, yeah, I’m really happy I didn’t say what he said. I think that the problem is that while there are a lot of important things you could do with $1k (buy a new fridge, buy a sofa, buy new tires, do a major car repair, rent several industrial dehumidifiers for a week, furnish a kid’s room with IKEA, pay an ER bill, do pre-baby shopping), these are fairly modest projects. I’m a cluttery person, but that kitchen gives me hives. I think I would have ripped out those cabinets and bought metal shelving at IKEA the day I moved in. And they used to homeschool. Those are nice meals, but knowing they’re prepared in that mice-infested kitchen is putting me off them a bit. I can’t imagine cooking for 12 every day in that kitchen. That was worth the click. When you flush after shitting a little aerosol blast of bacteria goes out into the room. This is why building inspectors will ding you if the bathroom door opens directly onto the kitchen. Just saying. When I was young, I had grad student friends who lived in tenement apartments with the bathtub in the kitchen. (The toilet was down the hall.) The builder only wanted to do one set of risers, I guess. I don’t know how many of those apartments still exist. Then again, I don’t know how many grad students can afford to live in Manhattan. Our kitchen is forty years old, but it was a super fancy job. The cabinets are all solid wood and custom-made. So, I feel a little guilty ripping them out. Everything still works. The layout and the style are dated, but the cabinets themselves were very well made. On the other hand, I don’t think I can survive the knotty pine cave much longer. The appliances and the countertops are a disaster and need to be dumped ASAP. We have a place where you can donate used construction stuff, including old cabinets, for reuse. Maybe that would feel less guilty if there is such a thing near you. I’ve noticed Italian restaurants have become a thing recently. My theory is that the younger generations in the restaurant families are finally taking over. There is Italian food outside of NYC. It’s even cooked by Italians. could you save thirty grand with a coat of paint? Does painting cabinets actually work?